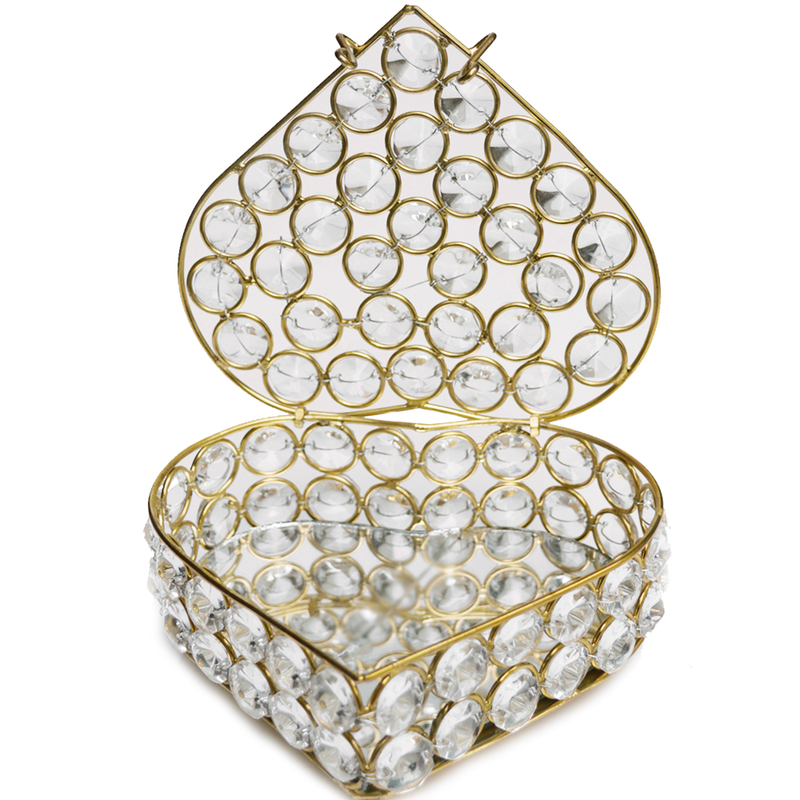 The Designer Jewellery Box in Crystal & Metal provides a visual treat by combining the visual splendor of crystal with the warm golden hue of Read More..the metallic part to make for an aesthetically pleasing case for keeping valuables. 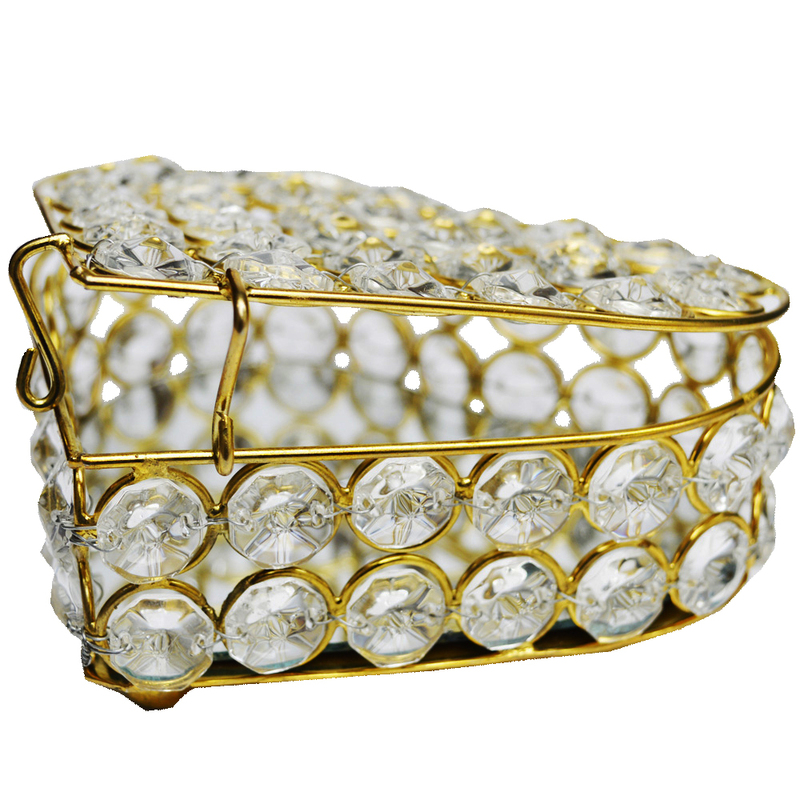 The crystals form the body this beautiful box, set along the metallic scaffolding to provide for a durable product as well. 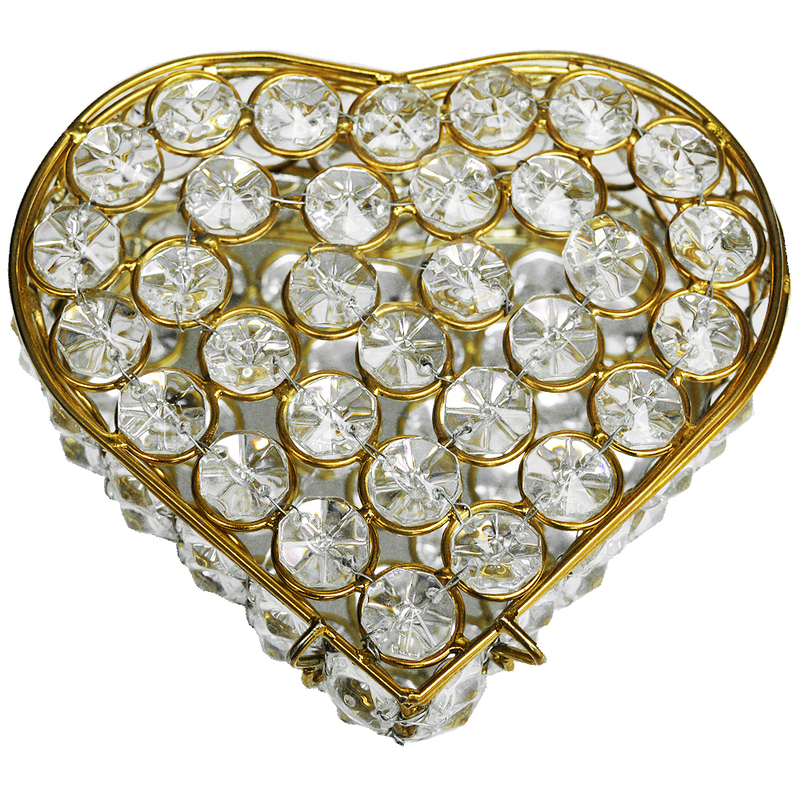 Apart from use as a jewellery box, this item is also ideal for keeping chocolates or presenting it in a highly aesthetic manner. Show Less..